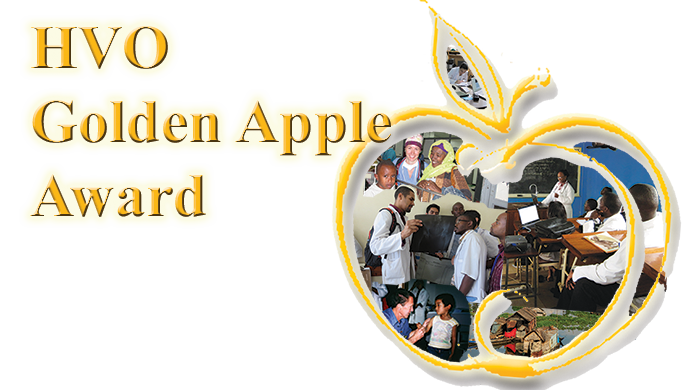 We’re pleased to announce the recipients of the fourteenth annual HVO Golden Apple Award. Pamela Cole, PT, CWS, a 2018 Golden Apple Recipient believes in building relationships to improve global health. 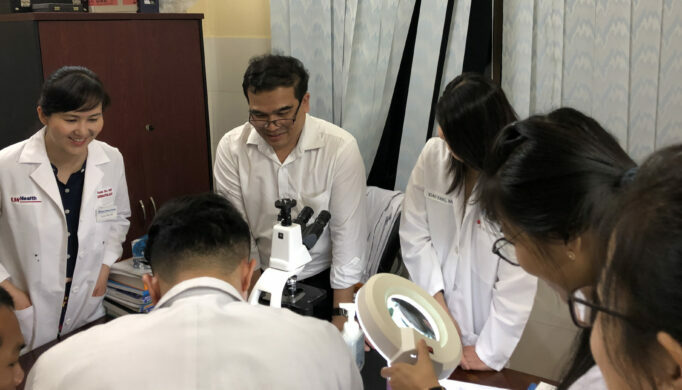 HVO Golden Apple honoree Dr. Sithach Mey has served as on-site coordinator for HVO’s dermatology project at Preah Kossamak Hospital in Phnom Penh, Cambodia for more than a decade. On World Oral Health Day, we celebrate Golden Apple recipient Dr. Dashrath Kafle for his contribution to our oral health program. Share your skills and knowledge. Invest in HVO's mission to bring health to all. 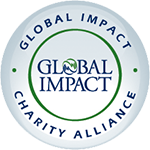 Be part of our global community. Read the eBook on Internat'l Partnerships. Partnership is at the heart of HVO's mission. We work together with institutions in resource-scarce countries, connecting people with one another and with the resources necessary to bring education and training to health workers. The global shortage of health workers is a significant challenge, but bringing skilled, safe and compassionate care to people around the globe is possible if we draw on our greatest strength: the power of people working together.